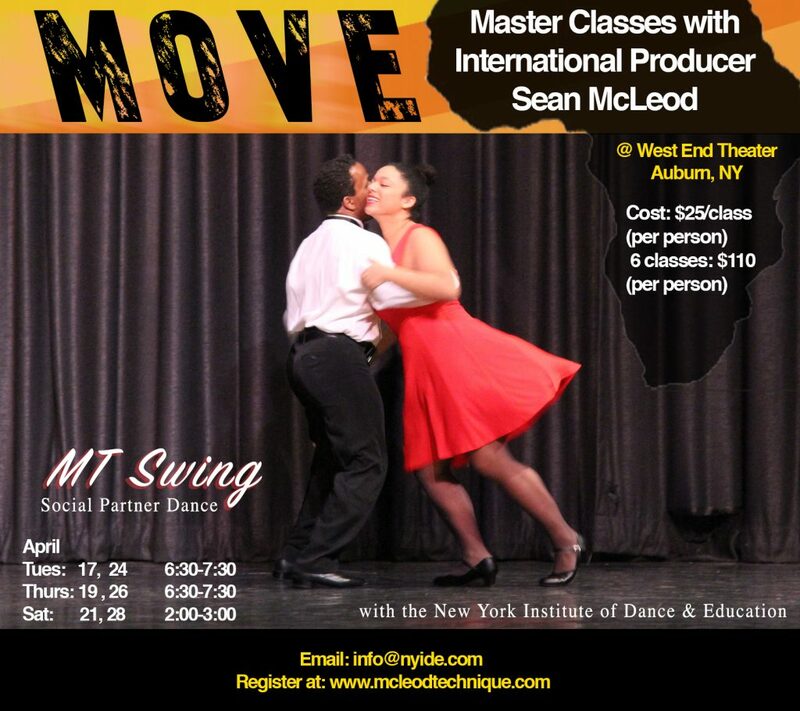 Join us at the West End Theatre for MT Swing Dance & Social Partner Dancing with Kierstyn Zaykoski and Sean McLeod. Come learn the communication of movement. Bring a partner or come solo to learn the basics of partner dance in a fun and welcoming atmosphere. Great idea for couples, friends just having fun, or an evening of easy exercise for folks of all ages. And absolutely NO experience necessary! To register, please use the drop down arrow and select the date you will be attending.